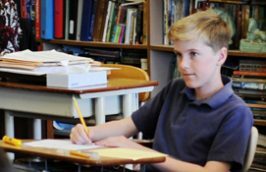 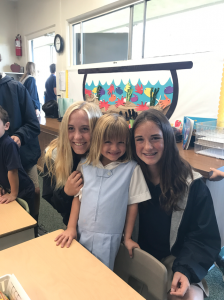 Being a student at Carden Hall means being part of a wonderful community, one where our students interact not only with their classmates and teachers, but also with students from other grades. 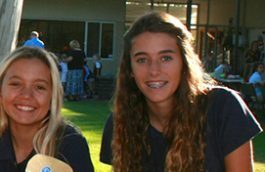 This inspires and encourages younger students and allows older students to practice leading and encouraging. 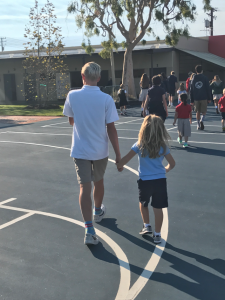 One of our favorite ways to introduce kindergarteners to their fellow students is through our Buddies Program. 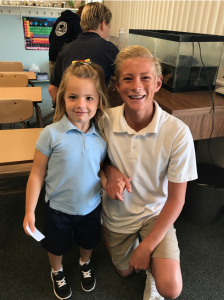 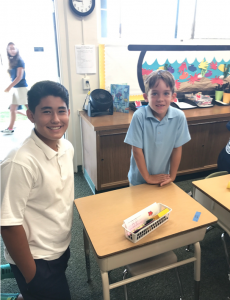 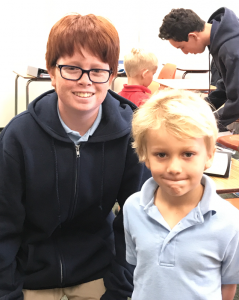 At the beginning of each school year the kindergarteners meet their assigned eighth grade “Buddies,” with whom they will interact throughout the year. 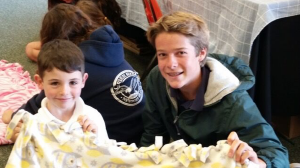 Over the course of the year the Buddies meet every few weeks for seasonal projects or games. 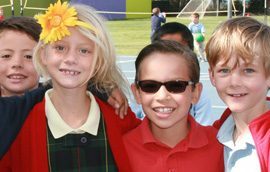 They have fun together, playing games and learning dances. 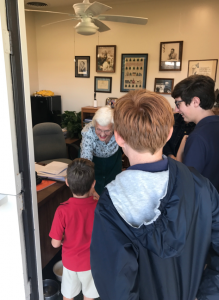 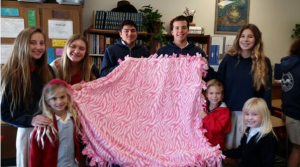 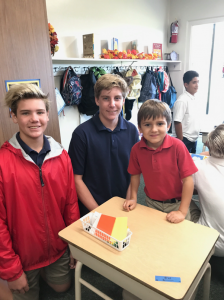 They work together, making crafts and doing service projects, all the while creating memories that often number among the year’s most cherished, for kindergarteners and eighth graders alike. 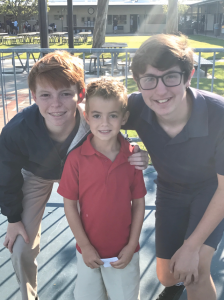 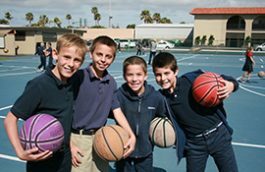 Having had buddies of their own when they were in kindergarten, the eighth graders look forward to continuing the tradition. 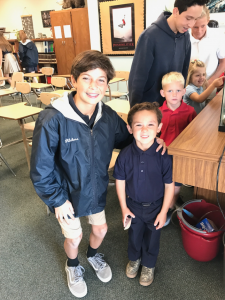 Already this year the Buddies have gone on a scavenger hunt, so the kindergarteners could explore the whole school and be introduced to staff members. 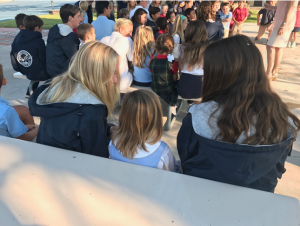 The kindergarteners also had the opportunity to introduce their new Buddies to their parents. 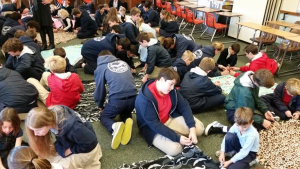 The last several weeks have included playing games, making blankets for service projects, and making “grateful leaves” for Thanksgiving.